Planning a vegetable garden layout will help you to think about all you need to do in the garden: dividing up space for permanent crops, structures, garden use and real vegetable growing space. 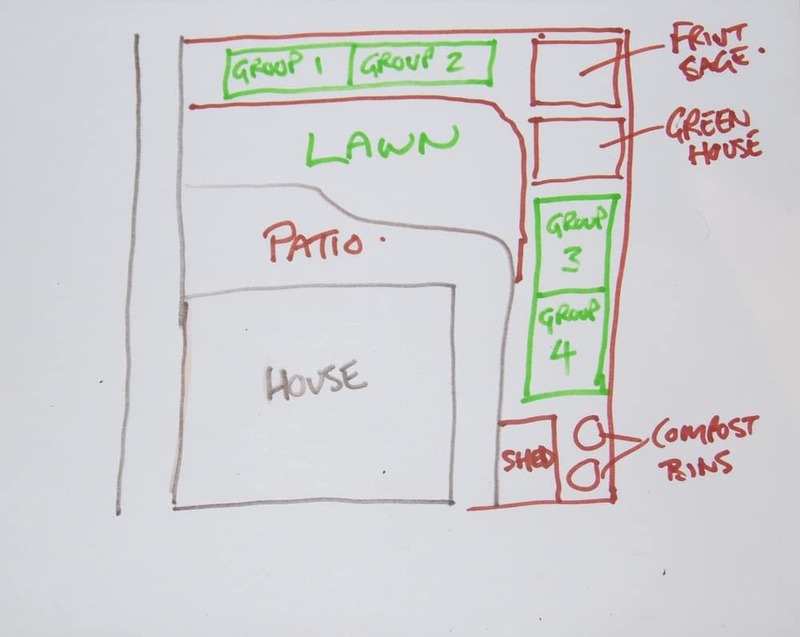 Start pout by sketching out the basic structure of your home, paths, patios, lawns and any other already built structures. Mark out the parts of your plot that get full sun, partial sun or no sun at all. This way you can start to uncover the prime growing positions in your garden. To grow vegetables you will need to reserve the parts of the garden with full sun, whether it is a border or a separate part of the garden by itself. Depending on how much you would like to grow and , of course, how much time you can realistically set aside to tend to your tasty vegetables, you’ll decide if you can grow a small or a large garden. While you can’t really calculate how much time you’ll need for gardening, expect to spend at least one full day per week in an average size garden of 1000 square feet. To manage time better in the garden, you might want to plant through weed suppressant material so that there is less weeding. Next in your planning a vegetable garden layout, plan for the permanent structures you’ll need. Greenhouses and poly tunnels will need full sun, while storage sheds and water storage can be better left in the shade. If you plan to include some permanent crops in your garden, be sure to choose a sunny spot. It’s hard to move these types of crops without damaging them (or slowing down their growth). Once you have discovered the sunniest and shadiest parts of the garden you can start to design the layout. 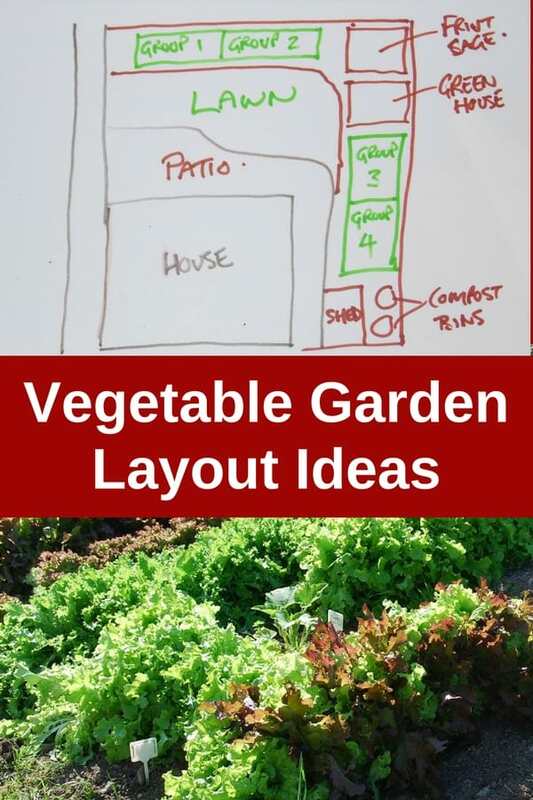 Place structures in their prime positions, choose what part of your vegetable garden will be perfect for growing your vegetables, and get to work. 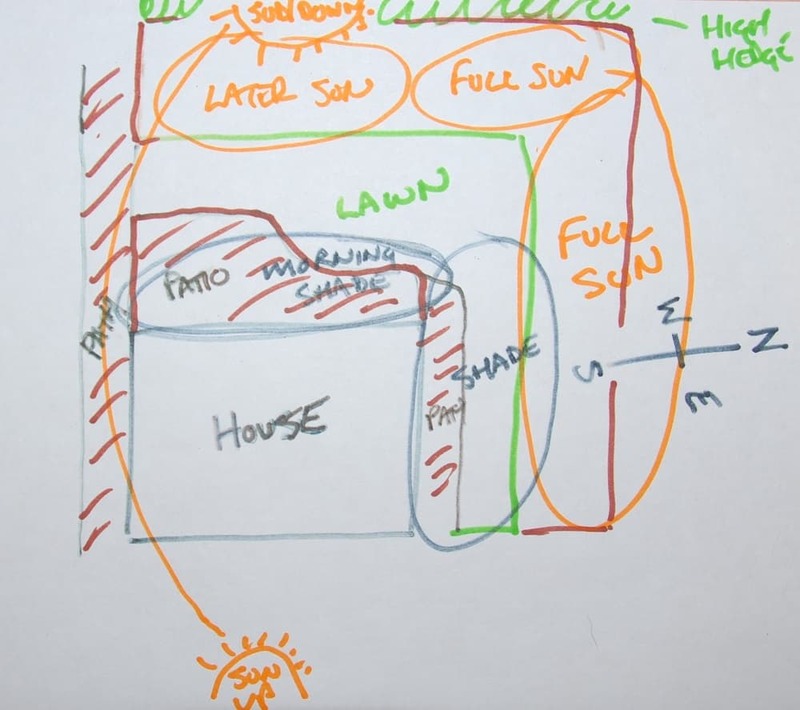 In the above sketch I placed the shed and compost bins in problem shady areas. I also sketched in fruit cages and a greenhouse in the sunniest position. On either side of the greenhouse I created two vegetable growing plots, dividing them up into four groups for easy crop rotation. Find some free vegetable garden plans here to help you get inspired. If you only have a small garden space check out these some small vegetable garden plans. If you have a lot of space, and want to use it wisely, these large vegetable garden ideas may give you some inspiration.